What an exciting week it's been in the Land of Le Beef, with the completion of the first ever Land of Le Beef mural. The mural lives at Fill in the Blank, a creative and social workspace in Wan Chai, Hong Kong. The piece is located on a wall leading to the washroom, and so I wanted to do something that would reflect that, and lead the viewers' eyes in that direction. 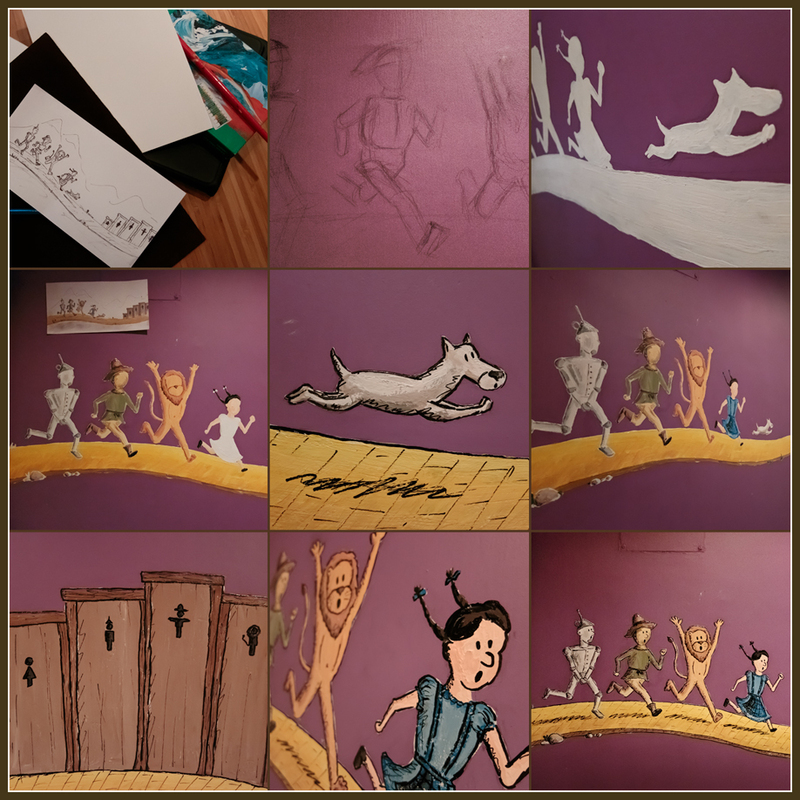 I also wanted something that would reflect the randomness of the venue (Fill in the Blank is by it's very nature anything that you want it to be - where anyone can show up, and anything can happen), and I thought the Wizard of Oz was a good metaphor of this.